In many countries, conservation organizations and resource and wildlife agencies recognize the need to keep natural areas connected or re-connect them with each other. 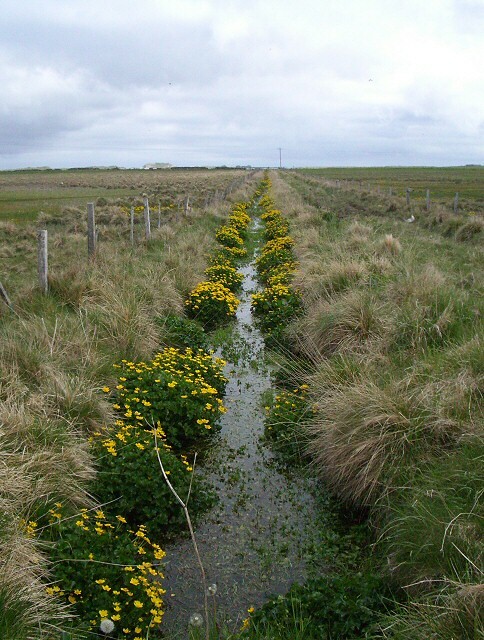 Many connectivity conservation plans have been developed at local, regional, and landscape scales. However, in general corridor implementation has been slow. To address this issue, a recent study has reviewed the challenges and opportunities frequently encountered in creating corridors in two ways: by combing the literature for reports of lessons learned when trying to implement connectivity projects, and by interviewing conservation practitioners involved with connectivity conservation. While landownership patterns, the human footprint, and existing policies affect how conservation projects can be carried out, several factors may contribute to successful corridor implementation. Engaging stakeholders and partners from the beginning of a project and reaching out to the public is important to work towards a common vision of a connected landscape. Including both traditional partners, such as conservation organizations, wildlife agencies, and private land owners, but also non-traditional partners, such as water districts and recreation departments, can improve chances of success. Empirical studies that prioritize and validate corridors are an important foundation for a well-received plan. Wildlife movement paths can be especially convincing. While conservation biologists realize the importance of a connected landscape, it is easier to involve other partners and communities if additional benefits of protecting corridors can be emphasized. Examples are water storage and retention, carbon sequestration, and – if managed properly – recreation. Incentive programs have worked well to involve public landowners. However, to increase connectivity action by agencies, a clear regulatory framework that contains unambiguous connectivity conservation mandates can do the trick. The study developed a framework to demonstrate the process of connectivity implementation. The key elements and their relationships to each other are illustrated with three case studies, including a wildlife underpass project, a regional conservation linkage, and the zoning of an ecological network. 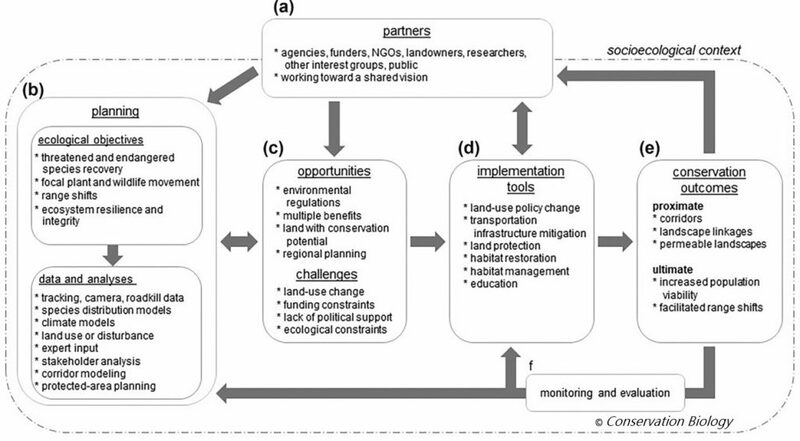 While in the past the focus has often been on the science of connectivity modeling, this study emphasizes the need to consider and incorporate social processes to advance habitat connectivity for biodiversity conservation and resilient landscapes under climate change. Keeley ATH, Basson G, Cameron DR, Heller NE, Huber PR, Schloss CA, and Merenlender AM. 2018. Making habitat connectivity a reality. Conservation Biology. DOI:10.1111/cobi.13158. 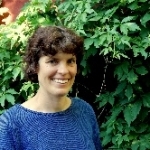 Annika Keeley is a wildlife ecologist with experience in animal behavior, wildlife biology and management, landscape planning, and science education. She earned her Ph.D. in the School of Forestry at Northern Arizona University. Her dissertation focused on comparing estimates of landscape resistance to animal movement. Previously she worked with temperate and tropical bats, ground squirrels in Canada, corn crakes in Poland, and amphibians in Germany.